Jacqui Pryor is a registered trademark attorney in Australia and director of Mark My Words Trademark Services PTY LTD.
Ms Pryor has a passion for helping start-ups and small businesses. She is often engaged by businesses seeking quality advice and assistance in respect of trademarks, without the price tag often associated with such services. Ms Pryor has received many referrals and recommendations based on her expertise in trademark strategy and prosecution and her ability to clearly explain processes, advice and options to clients. Ms Pryor has more than 18 years’ experience in trademark law. 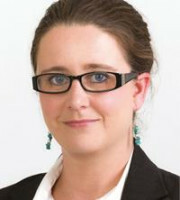 In 2010 Ms Pryor successfully completed her graduate certificate in trademark law and practice in Australia. She assists local and international clients in securing trademark protection in Australia and overseas. Ms Pryor’s friendly yet professional manner is appreciated by her colleagues and clients alike. Ms Pryor assists clients in securing the registration of their trademarks, including hard to register marks. She is known for her ability to develop strategies to protect difficult trademarks, as well as negotiating commercially sensible outcomes in dispute matters. Statistically, Ms Pryor’s firm has an above-average success rate in achieving approval for clients’ trademarks in Australia. commercially sensible outcomes to trademark disputes.